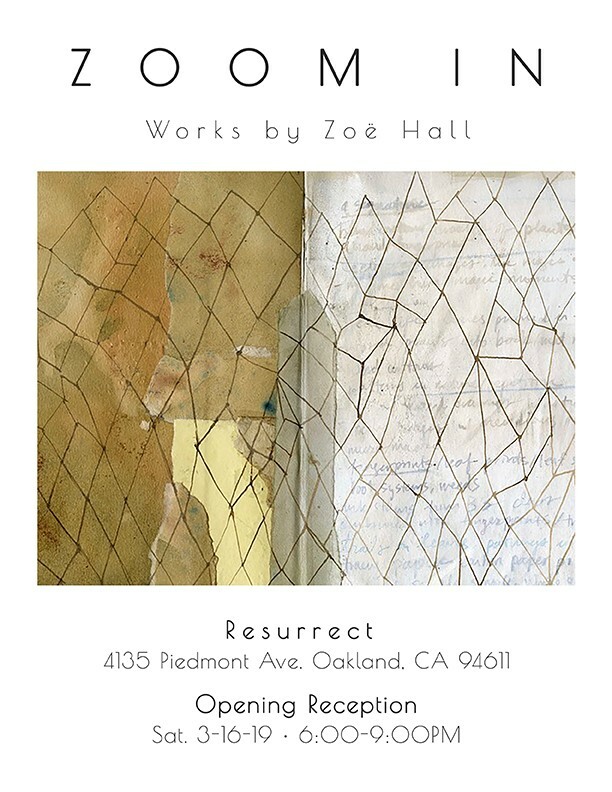 Welcome to Zoom In, a solo show by local Bay Area artist Zoe Hall. Follow as she takes you through a textural experience that is at once botanical and geometric; raw and practiced. Many of the mixed media pieces you will see here are curated directly out of Zoe’s sketchbooks, and enlarged into prints, resulting in an intimacy between the viewer and the artist’s ritual of documenting her impressions of the natural world around her. She is showcasing paintings, drawings, collages and prints. Zoe’s work emanates a spontaneous vibrancy, combined with an almost obsessive focus on realism and detail. Nature is often Zoe’s muse, an endless inspirer of patterns, textures and raw forms. In a fast-paced world where simple beauties so often get missed, Zoe has honed her eye to notice the intricate design of all things small – be it the repetitive hexagon pattern found in a paper wasp’s nest, the bursting red seeds from a dried magnolia flower pod, or the delicate veins making up a gooseberry skeleton. She often finds herself collecting these tiny overlooked treasures and bringing them back to her studio for inspiration and closer study. She takes the familiar and brings it so close that we cannot help but spend time with what we may have otherwise overlooked. Zoe uses charcoal, eraser, ink/crow quill, watercolor, gelatin monoprinting, collage, and staining to play with shadow and light, raw form and negative space, control and freedom. Herbal Pop Up with Rise Up Good Witch! We are excited to celebrate Earth Day this year with an incredible locally based company: tonlé! tonlé is a zero-waste clothing brand that is based in San Francisco and produced by a small team in Cambodia. Their process starts with scrap waste sourced from mass clothing manufacturers. Using every last thread, they create handmade clothing and accessories signed by their Cambodian makers. tonlé will be popping up at Resurrect from 12pm - 4pm on Saturday April 21st. You can have a chance to see their full line and also meet the designer and learn more about sustainable fashion. We will also be donating 10% of our profits from the day to the NRDC, Natural Resources Defense Council, that is a global non-profit dedicated to safeguarding the earth—its people, its plants and animals, and the natural systems on which all life depends. Stop by for refreshments, new Spring designs, and a chance to learn more about ethical fashion and the benefits it has on our planet! Hope to see you there! Save the date for our next big event! On Saturday, February 10th, we will be celebrating a day of love and light and will be open from 11am - 9pm. We have two special events planned for you throughout the day/night. Starting from 1pm - 5pm, Alejandra Leon-Rocha, the creator of the Lioness Oracle Tarot Deck, will be offering tarot readings for $40 each. Feel free to call the store ahead of time to reserve your spot! We will be serving tastings of locally made herbal concoctions by the Bitter Witches and providing tons of handmade lingerie and love tinctures to choose from! Lizanne Deliz from Eye of Crow Herbs will be at the shop from 2pm - 4pm and offering info on her line of herbal tinctures. 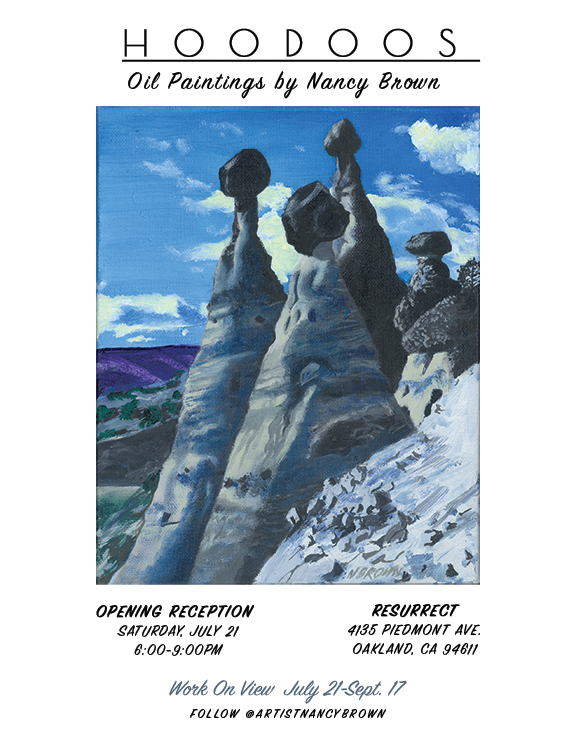 Our next event of the day will be an art reception from 6pm - 9pm for our new group art show. This new show features a variety of metal, ceramic, and glass sculptural lighting by local artists: Ross Clark, Alex Albajian, and more TBD! So stop by and get your fill of love and light at Resurrect! Sneak peak of one of Ross Clark's metal light fixtures!